Believing strongly that music and singing powerfully engage neuroscience-proven memory power, Lesley specialises in alliterative lyrics set to upbeat songs as a fun way to practice English language and remember information. Her songs are animated with matching subtitles, so the internalised language is read with understanding. 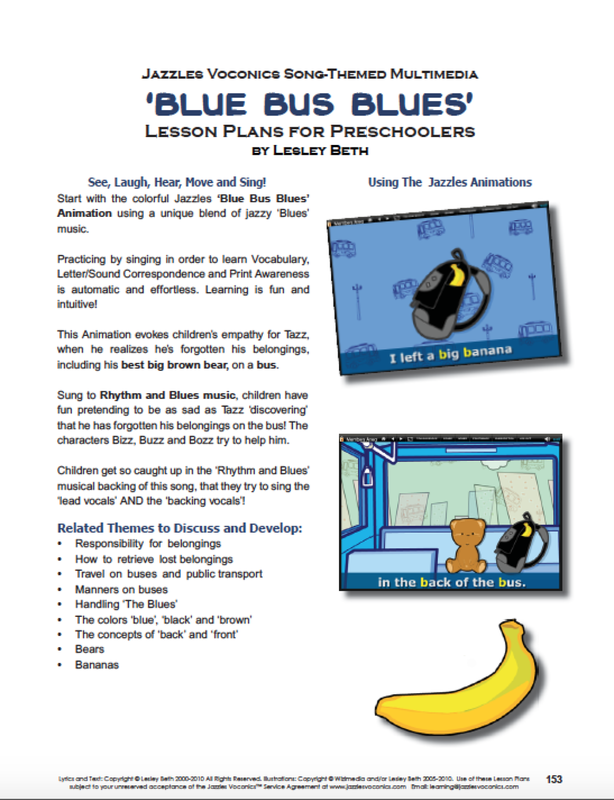 Lesley is the only teacher-songwriter anywhere, to apply her unique set of skills strategically to create a song-themed, educational resources like Jazzles - her transformative, 'Big Picture' ELA pedagogy. Jazzles Beginning English Method is the only scalable Arts in Education program synchronised to literacy and early learning, and the world's only Arts Integrated program meeting UNESCO (Releasing the Power of the Arts) criteria. Her passion for educating the young to protect the beauty of the oceans and its inhabitants inspired her eco-entertainment Swishy Friends projects of cool, jazzy underwater songs and sequential children’s stories. Her other passions include illustrating and writing children’s Picture Books, Australian Card Designs and Painting. Lesley Beth’s cool, jazzy songs are unlike most ‘children's music’. Mature in content as well as style, everyone moves to the beautiful music and emotive lyrics that inspire love and care for our sea friends. With some edited to HD footage with subtitles to sing-a-long, these sea-rhythmic songs calm and engage children (including SPED and ESL). Teachers can add actions, drama and Lesley Beth's illustrated lyric and activity sheets to support integrating English language arts in sea environmental units. From a very young age, Lesley Beth has loved painting the beauty of nature using strong colors and the play of light. She has redirected these self taught skills into illustrating some of her picture books. Lesley Beth has produced 2 series of Australian greeting cards featuring koalas and flowers. Her unusual projects have included a 45 square meters backdrop for a 'Jungle Book' school musical, and converting depressing school walls into beautiful paintings of flowers with an almost '3-D' effect. With her experiences over many years teaching young children, Lesley Beth enjoys writing stories that she believes will appeal. Sometimes she uses rhythm and rhyme, alliteration and humor. Some Picture Books, Lesley Beth has paired with her watercolor, ink, pencil, pen or collage illustrations. She has also written a 'Swishy Friends' chapter book series. These fantasy stories ebb and flow with reality to ignite a passion for the underlying message of caring for the marine environment. Jazzles is a unique, Beginning English Program consisting of 26 song-themed, internet-delivered units. Every unit has interactive and printable activities and lesson guides for teachers or parents. And no musical expertise required! Scalable for abilities and ages, Jazzles is suitable for : ESL(various ages), Mainstream-mixed ability/needs, SPED, Homeschooling, Prep/Kindergarten, Preschool/ Day Care. Based on a scientific order, every unit begins with an animated, alliterative, reading–song. It's fun, oral english and reading practice! When children simultaneously SEE, SMILE, HEAR, MOVE and SING (engaged visually, aurally and kinetically -VAK), They remember EVERYTHING! Amazingly, within the 26 Jazzles lyrics, are 77% of the most important words in contemporary English as well as over 70% of high frequency/ sight words. While most learning programs stop at the pedagogy, Lesley Beth knows optimal learning occurs with happy children in an engaging environment. Visual and Performing Arts activities develop vital non-cognitive skills including collaboration, communication, critical thinking, creativity and innovation. Jazzles lyrics ignite imaginations and conversations so children absorb and extend English vocabulary by joining in group singing, art, craft, drama and musical performance as karaoke stars! WHAT Do YOU GET IN ONE UNIT? 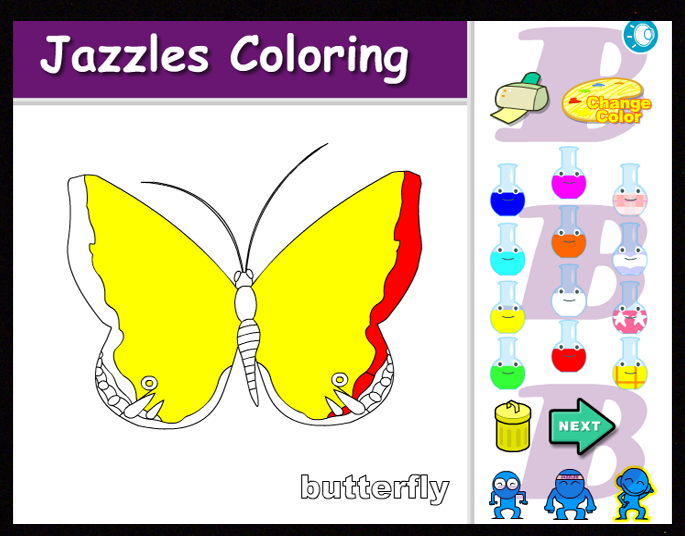 Check out the resources in Just ONE Jazzles Unit! 1. Singing and seeing highlighted subtitles facilitate intuitive learning of the 6 Beginning to Read Skills: *Phonemic Awareness *Fluency *Vocabulary *Alphabetic Principle *Comprehension *Concepts about Print (one to one correspondence, left to right directionality and the use of punctuation) as well as sight words recognition? 2. Cartoon animation (including gestures) matched to the subtitles help students (especially ESL) with English word and phrase meaning ? 3. Modelled lyrics create rich recallable vocabulary with English pitch and tone? 4. Recallable oral language practiced in non-confrontational, choral singing provides scaffolding for extending vocabulary to use in role play and writing scenarios?